Autumn is prime time to tour the vineyards that dot the nation’s every corner, when temperatures are cool and foliage is at its most flamboyant. From the rocky coast of New England to the lush valleys of Washington State, find grape-stomping events, harvest festivals, cook-offs, and more. 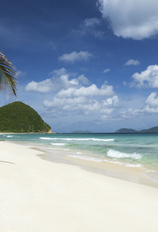 Here are 10 wine destinations to get your (grape) juices flowing. Popular year-round because of its moderate climate, the Russian River Valley is best visited during crush season, when trellised grapes are plucked and harvest festivities kicked off (and when fewer travelers are in the area than in summer). 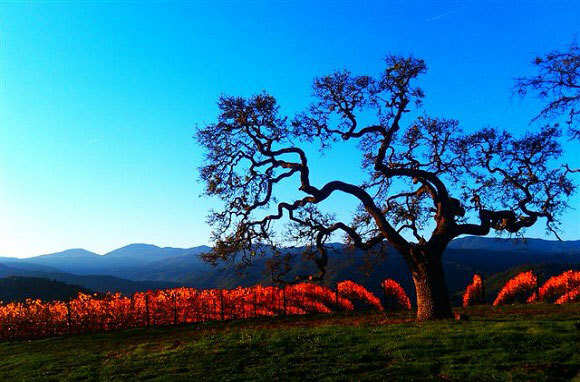 Located in the very heart of Sonoma County, this world-class wine region churns out cool-climate varietals shaped by temperate Pacific Ocean fogs. Smooth Pinot Noirs and rich Chardonnays have made the valley famous, and you've likely heard of some of the region's notable wineries, such as Kendall-Jackson, Sonoma-Cutrer, and Korbel. Smaller cellars and boutiques also abound; search for the right fit on the Russian River Valley Winegrowers website. Besides wine, autumn travelers can find fine dining and luxe accommodations, especially in Healdsburg, an epicenter where three of California's major wine regions (the Russian River Valley, Dry Creek Valley, and Alexander Valley) meet. Active visitors can take leisurely bicycle rides alongside vividly colored vineyards on Westside and Eastside roads or kayak in the Russian River, lined by crimson and gold leaves. 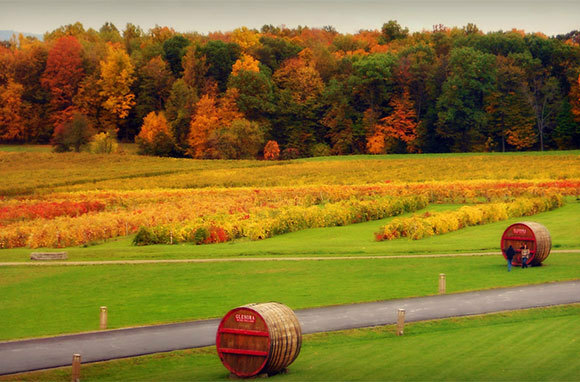 October brings explosions of color to the Finger Lakes' forested shores and scenic roads, making this a popular getaway for city slickers in search of fall foliage (after all, it's mere hours from both New York City and Toronto). Recently voted by TripAdvisor as one of the top wine destinations in the U.S. (ranking up there with usual heavy hitters Sonoma and Napa), the Finger Lakes region has earned the admiration of wine enthusiasts for its distinctive terroir and resultant minerally Rieslings. 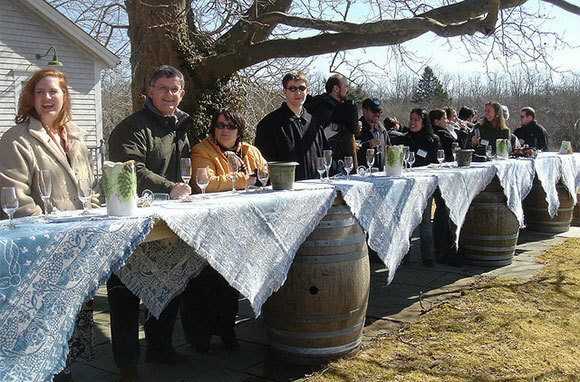 Take one of three major wine trails that meander around Cayuga, Keuka, Canandaigua, and Seneca lakes, where the deep, cold waters and rolling hillsides provide the perfect microclimate for the area's signature delicate Rieslings and Gewurztraminers, seasonal honey meads, and fruit wines. Quaint 18th-century villages and homey B&Bs, cozy homes away from home after long days on the dusty trail, pepper the lakeshores, while outdoorsy travelers can hole up in one of the campgrounds, cottages, or cabins nestled in the surrounding state parkland. Stretching from Cape Cod through coastal Connecticut, this wine trail comprises a tight collection of nine wineries known for their European-style whites (the result of the trail's seaside location and cool climate). During fall, the scenic two- or three-day journey alternates between coastal vistas and serene country landscapes and takes you through miles of New England's signature fall foliage. In Massachusetts, sip Westport Rivers' Westport Brut RJR, a tart, many-medaled sparkling wine, which has been served in three White House administrations. Or take a spin southward to sample Newport Vineyards' slate of reds, whites, ports, and rich harvest ice wines before touring Newport's famed mansions just minutes away. 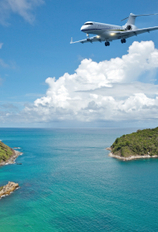 Usually overrun by tourists in summer, the historic port and its thrilling cliff walk are ideal to visit in fall. Dotted by small towns, rich farmland, and forests of golden aspen and scarlet huckleberry shrubs, Oregon's Willamette Valley is equally well traveled by adrenaline junkies, who seek out the area's adventure activities, and gourmands, who nosh their way through numerous restaurants and wineries. 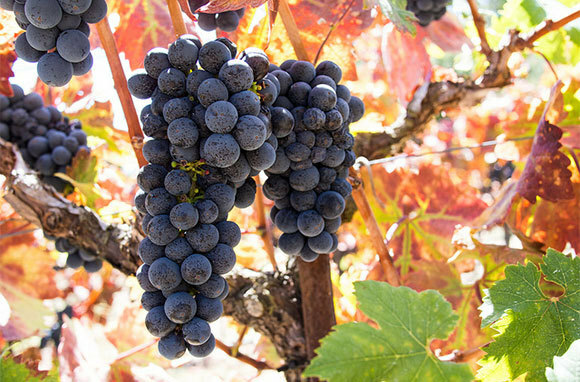 Already a top wine-producing region and a glorious visit in fall, the valley was dubbed "the Burgundy of the states" by Wine Enthusiast for its highly rated Pinot Noir varietal. The region is known for its many sustainable, biodynamic labels as well as its independent, unpretentious vibe. Explore the main wine trails on the Willamette Valley Visitors Association website or order the travel guide to help you navigate the vineyards, shops, and more. And, with a characteristic nip in the air, the Willamette Valley is a place to be outdoors during fall: Hike the McKenzie National Recreation Trail, picnic along the McKenzie River Highway, or drive along I-5 with its covered bridges, wooden barns, and signature red-and-gold foliage. In Monterey Wine Country near the Salinas Valley, seasonal colors don't just grow on trees; its wineries and tasting rooms also offer a fall palette of golden Chardonnays and ruby-red Pinot Noirs, the wines for which the region is famous. Some 85 vintners call the area home, including Chateau Julien and Bernardus in Carmel Valley and the dozen or so along the River Road Wine Trail. Away from the vineyards, find B&Bs and romantic Relais & Chateaux retreats along with beachside taco stands and top-notch dining. And when sipping, supping, or sleeping gets old, hit the outdoors: Not only is Monterey a key wine region, it's also the home of Big Sur's rocky cliffs and a migratory path for humpback whales, which you can spot from the area's many beaches through December. 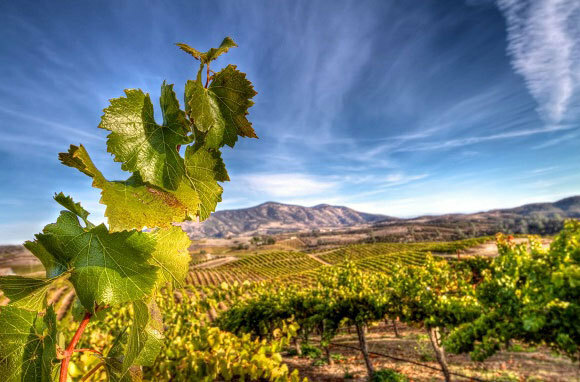 Another Northwestern gem, the Yakima Valley is a true original, a remarkably diverse expanse that makes up the first official wine-producing region in Washington State. Here, at the ends of narrow country roads threading their way through sun-soaked miles and forested acres of orange and butter-yellow leaves, find dozens of wineries that espouse the region's progressive, pioneer spirit—many producing wines that are certified sustainable, organic, and salmon-safe, an important designation for the Pacific Northwest. Visitors can scale Red Mountain for eco-friendly wines from Terra Blanca, or get a taste of the back roads on the Roads Less Traveled route; this itinerary takes you to Sleeping Dog Wines and its resident "guardian cat." At the end of whichever winding drive you choose, stop in historical Yakima city for its North Front Street boutiques, tasting rooms, and galleries, or tour the local farms for Pacific Northwest produce, including grapes, apples, and pears. With a palette of red sassafras and deep-purple sweet gum, the Monticello Wine Trail, dating back to the dawn of the Revolution, welcomes visitors seeking cooler weather and peaceful tasting rooms along snaking Virginia roads. When famous first settler Thomas Jefferson settled Monticello estate, he envisioned the area as thriving wine country to compete with Old World vines. 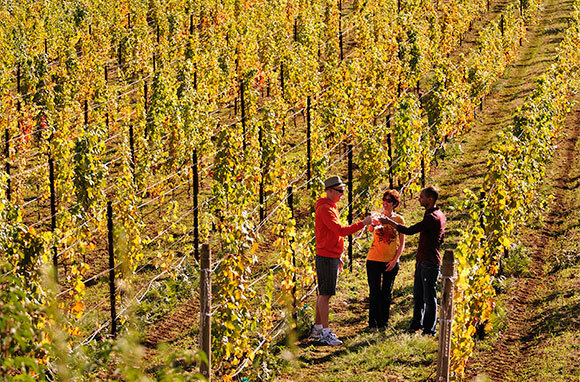 Now, the region is considered the birthplace of American wines, and boutique wineries sprinkle the countryside along with AAA Four Diamond B&Bs and restaurants, moderate hiking trails, and fruit orchards. The Monticello appellation is broken up into four major loops—Northern, Eastern, Western, and Southern—that wend through the Blue Ridge Mountains and surrounding historical towns. The Southern loop contains some of the region's oldest vines, including Jefferson Vineyards, established in 1774 (try its consistently popular Viognier and Rose, both of which feature only fruit grown in Virginia). 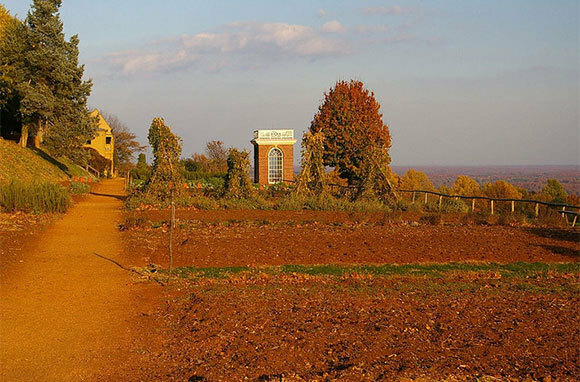 But be sure to begin with a visit to remarkable Monticello before hitting the road. 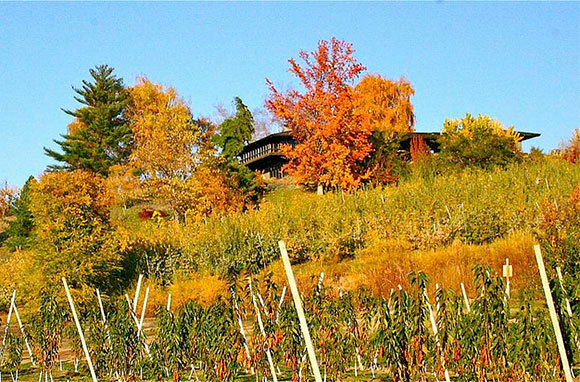 Fall foliage isn't limited to coastal areas, of course—and neither is wine. The Midwest may be Big Ten country, traditionally known for craft brews and brats more than world-class wines, but the Lake Michigan shore surprises with 14 commercial vineyards that garner heady critical acclaim. Lying along the 45th parallel, this region shares the same latitude as Burgundy and Alsace, and its similarly cool climate makes for crisp, lively whites. Check out the map on the wine trail's official website and customize your road trip along picturesque coastal I-94 and highway offshoots. 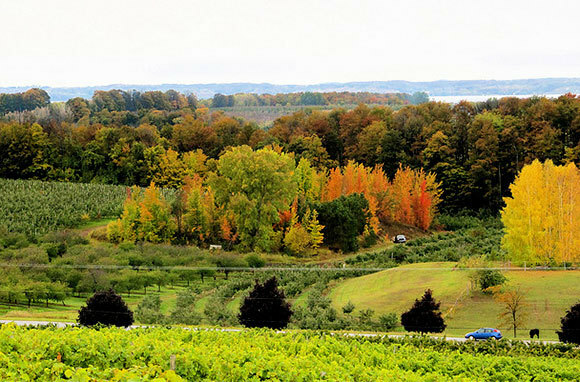 During fall, stop for leaf-peeping breaks or canoe rides in the rapidly cooling waters of Lake Michigan, or hit up a you-pick orchard or local farm for seasonal grapes and fresh cheeses to accompany your vino. End your tour of the so-called Napa Valley of the Midwest in the city of Kalamazoo, with its bustling art deco downtown and bevy of microbreweries. This up-and-coming wine region, laid out across a mesquite-strewn, creek-carved landscape, is, in true everything-is-bigger-in-Texas style, one of the country's largest AVAs (American Viticultural Areas). 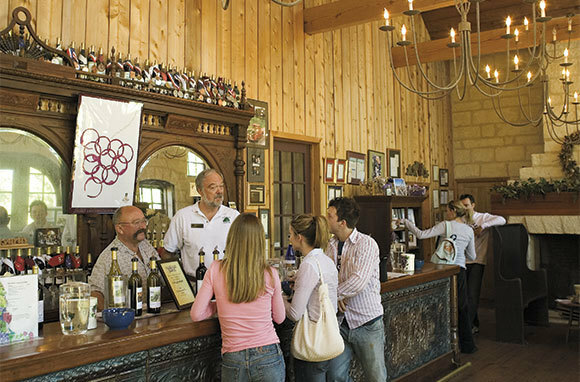 Thirty-five vineyards from Austin to Fredericksburg await visitors looking for uniquely American flavors, interesting BBQ pairings, and leisurely drives through the rugged but verdant hills. Notable wineries include the eco-friendly Texas Hills Vineyard, perched on dry, rolling acres reminiscent of Tuscany that produce big grapes and even bigger reds. In Driftwood, just 25 miles from Austin, Duchman Family Winery welcomes the road-weary with traditional Italian-influenced wines, including Sangiovese and Dolcetto. Make hip Austin your home base and explore the city's music venues and eateries or take the Austin Steam Train through Central Texas. During this time of year, the area's humid subtropical climate lingers in the mid- to high 70s, and even the maples get a bit of color. Burrowed in Asheville's mountains is the extraordinary Biltmore home, a sprawling 250-room chateau erected by George Vanderbilt in 1895. Not merely an estate, this manse comes with its own village, Antler Hill, and an accompanying winery in a converted dairy barn. Year-round tastings offer sips of Biltmore's wide selection of Eurocentric wines, including a much-lauded sparkling Blanc de Blancs and a roster of robust reds. Specialty tours that focus on bubbles, chocolate pairings, and more can be booked, as can tours of the historic Biltmore property itself. Visiting guests can stay on-site at the Inn on Biltmore Estate (rooms start at $299 per night from September through December) before exploring the estate's village green and working farm. 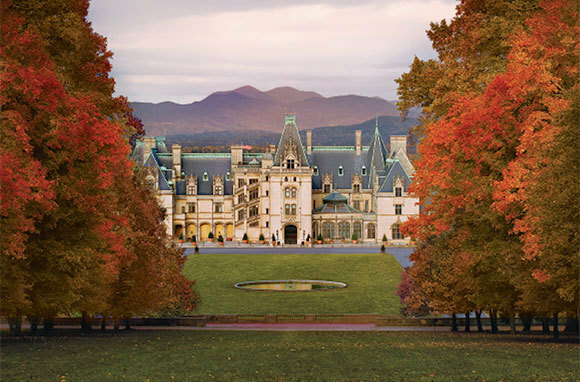 No visit to Biltmore is complete without simply prowling the Frederick Law Olmsted-designed grounds and gardens; fall means floods of vibrant chrysanthemums and butter-yellow magnolias in mid-October, plus mild weather tailor-made for outdoor exploration.